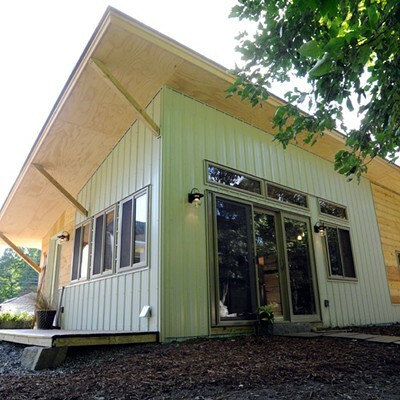 At 493 square feet, a brand-new house in the backyard of 4 Hinckley Street in Montpelier is pushing the limits of "tiny." "I call this a medium house," jokes Damian Taylor, 36. "Or a 'reasonable' house." 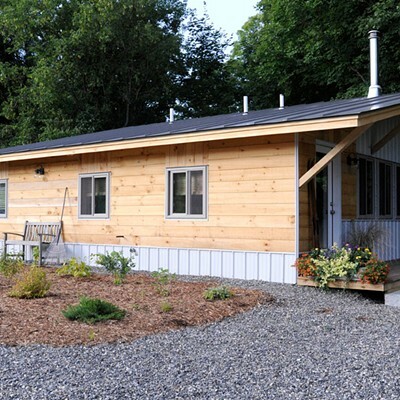 Whatever you want to call it, the diminutive home that Taylor and business partner Chris Kiper designed and built for Montpelier residents Peter and Mary Beth Watt was small enough to win a spot on "Tiny House Nation," a new reality television show that premiered on the FYI Network on July 9. 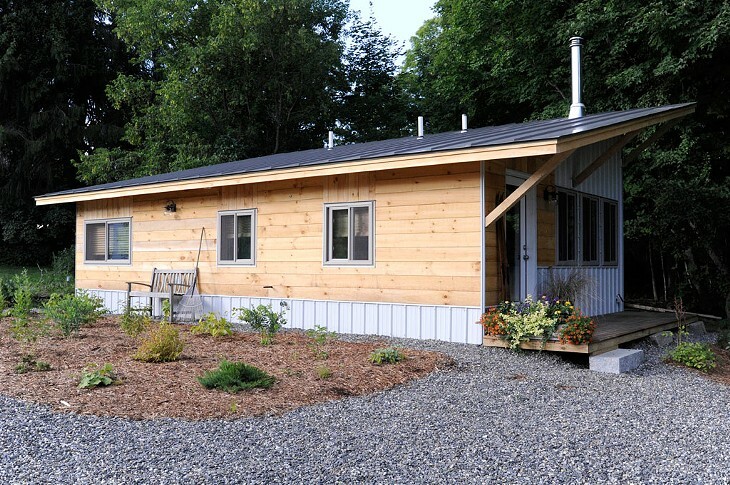 The show features families from around the country who want to pare down their lifestyles and live in mini-homes; for each episode, a house is designed and built for the family. And, yes, the house Taylor and Kiper built is the biggest one — the others are closer to 250 square feet. The episode featuring the Watts premieres this Wednesday, August 20. The couple's new house was built on the site of a torn-down garage behind their 2,200-square-foot home, which they intend to rent out. Their sleek, modern, single-story house has two compact bedrooms that can be joined or separated by a sliding door; a living room and kitchen; and a bathroom with a walk-in shower. High ceilings, white walls and wide windows make the home feel spacious. It was built in less than three weeks. "They were warriors," Mary Beth Watt, 60, says of Taylor and Kiper. "Some of those days were so brutal and hot, and they were there 14 hours! Chances are on the show, though, it'll look like an effortless thing that was done in a couple of days." The Watt family had been thinking about taking the plunge into the "tiny" lifestyle for a long time, but hesitated because of the expense. Then, as Peter was browsing online this winter, an ad popped up for "Tiny House Nation." He and Mary Beth applied and were accepted. "When the reality TV show figured in, that gave us this impetus to really act on it," Peter says. Working with the show also kept costs down, since many companies donate materials. Building a house with a film crew around, Kiper and Taylor admit, wasn't always easy, though they credit the show with supporting local businesses, and say the crew was "great to work with." The Watts worry that Taylor and Kiper won't get enough screen time. 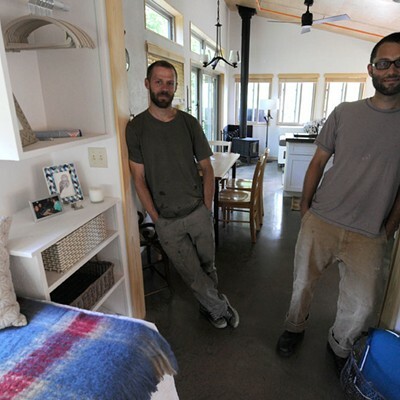 The show's hosts, John Weisbarth and Zack Giffin, are the "renovation experts" who appear most frequently on camera. But Taylor and Kiper aren't complaining; they landed this television gig just months after launching their design and fabrication company, Anomal. The original builder for the Watt home — also from Montpelier — was overwhelmed with work and recommended Taylor and Kiper as his replacement. Anomal's services run the gamut from artisanal concrete countertops to furniture and fixture design to architectural planning. The partners first met in 2006 through a mutual friend, but didn't truly connect until they wound up living on the same road in East Montpelier in 2010. "I always had him [Taylor] in the back of my mind as a brilliant designer and builder," says Kiper, 34. The two became fast friends, collaborated on a pop-up gallery in Montpelier and, in January, decided to start their own company. 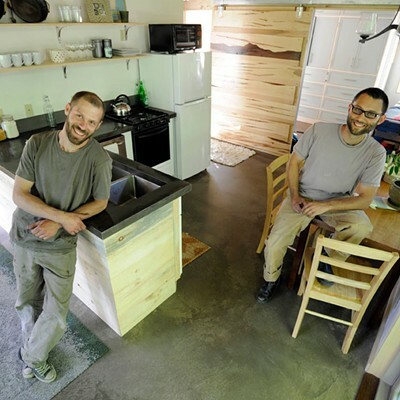 Tiny houses weren't initially on Anomal's list of services, but the movement toward smaller-footprint living is in keeping with Taylor and Kiper's minimalist aesthetic. 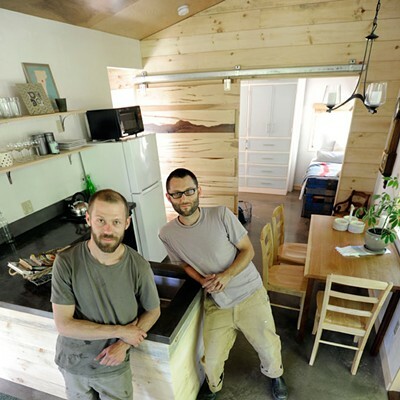 A compact tiny house perfectly showcases the designers' preference for "functionalism, honest materials, durability, timelessness and simple, understated forms," as Kiper puts it. "And for us this experience wasn't about being on television," he adds. "It was about making a great house for a really nice family." 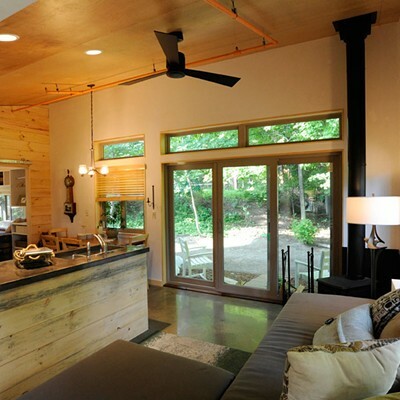 The original print version of this article was headlined "A Montpelier Design/Build Duo Lands a House on TV"